A simple stick-index wristwatch with a clean minimalist aesthetic does the ticking while stud-embellished leather straps do the talking. 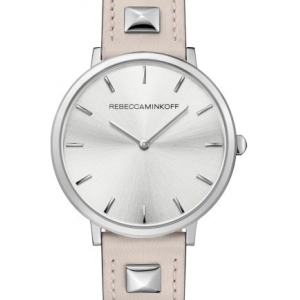 Style Name:Rebecca Minkoff Major Stud Leather Strap Watch, 35Mm. Style Number: 5393809_2. Available in stores.